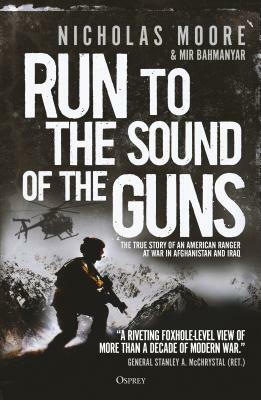 Sweeping from frozen mountaintops to dusty city streets, and everything in between, this is the gripping and deeply personal account of an elite Ranger who nearly lost his life "leading the way" in America’s secretive global wars. As part of an elite special operations unit at the fighting edge of the Global War on Terrorism, Nicholas Moore spent over a decade with the US Army’s 75th Ranger Regiment on the battlefields of Afghanistan and Iraq. In this compelling biography, a detailed narrative of grueling life on the ground combines with accounts of some of the most dramatic search and rescue operations of the period to tell the true story of life on the line in the War on Terror. Charting his rise from private to senior non-commissioned officer, this title follows Moore as he embarks on a series of dangerous deployments, engaging in brutal street combat and traversing inhospitable terrain in pursuit of Taliban fighters and Iraq's Most Wanted. Including never-before-published first-hand accounts of high-profile special operations missions including the tense rescue of Private First Class Jessica Lynch and the search and rescue mission for US Navy Seal Marcus Luttrell, Moore recounts, in vivid detail, the realities of life on the front line. Nicholas Moore was born in 1981 in Newton, Kansas. Nicholas and his twin brother Neil enlisted during the summer of 1998. They attended airborne school and the Ranger Indoctrination Program before being assigned to the 2nd Ranger Battalion. Nicholas deployed 13 times to Afghanistan and Iraq. His awards include the Purple Heart, two Bronze Stars, and the Army Commendation Medal with Valor Device. Nicholas was featured in Peter Berg's Live to Tell documentary series for the History Channel regarding the Marcus Luttrell rescue. He lives in the United States. Mir Bahmanyar served in the 2nd Ranger Battalion. He was on the Board of Directors of the 75th Ranger Regiment Association and created SuaSponte.com--A History of American Rangers. Mir has authored nine nonfiction books and co-wrote and produced the award-winning motion picture Soldier of God. He lives in Ontario, Canada.